Your pocket door system may require that there is a section of the door still left in the cavity when the door is closed. 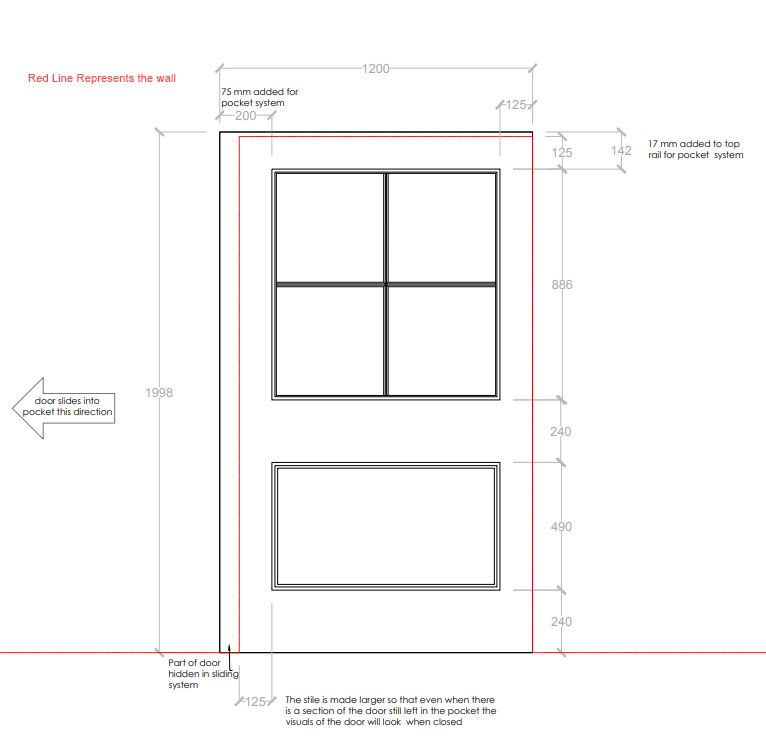 The example in this drawing is the Selo Enimgma FD30 pocket door kit. Please be aware that this varies from brand and model, particularly between fire and non firerated systems. As can be seen in the drawing example, one stile (on pocket side) is much larger. This is because when closed there is still a section left in the cavity and the stile looks even with other side of the door. The same occurs for the top of the door, again this will be specified by the manufacturer of your chosen kit. So if you are placing a pocket door order with us it is advisable to find out these variants and let a member of our team know.